Monday was a big day in the gaming industry. 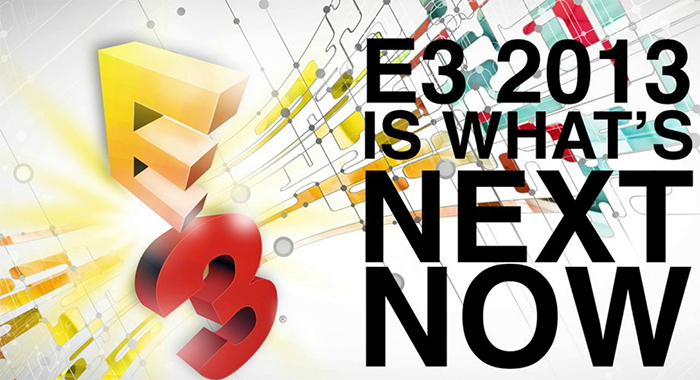 The Electronic Entertainment Expo started and conferences from big companies like Microsoft, Sony, Ubisoft and EA took place. Here are my thoughts on what was shown. First of the day was Xbox. As promised they brought out all the games. A really great showing too. I’m really looking forward to Dead Rising 3, the next Halo, and Titanfall. I really hope they change the save system in Dead Rising 3; it looks really fun but I hate having to retread progress I have already made if you start at an old save point. The Halo reveal was surprising as it looked like a new IP or a Star Wars game at first. It was sad to see Master Chief mourn Cortana and looking quite broken. It will be interesting to see where they take the story from H4. I was disappointed to find out Halo: Spartan Assault is a mobile/Windows 8 game. What I wanted to see was an Xbox 360 and ported Xbox One FPS that took place before Reach, and you get to see loads of Spartan IIs do their thing back when they were still in large numbers. Oh well. Titanfall, the new game from the original members of Infinity Ward, also looks really cool. Now, the Playstation 4. I’m a bit annoyed everyone thinks they have already won the console war. There is so much hate for the Xbox One, every comment on posts I see on gaming sites is about how screwed it is. To be honest, I’m just jealous that the console I would far prefer getting, the Xbox One, is the one getting trash talked, and has DRM and greedy used games policies. Microsoft has the games, but Sony have the morals. I really hope Microsoft change their tune before launch. Their used games and DRM ideas are ridiculous, I agree with most people on that. Sony have made a choice that is good for the industry, I hope it forces Microsoft to change. Apart from the business side, I found the exclusives Sony showed weren’t very good. Microsoft still have the upper hand there. I would like to play Killzone, but it’s not worth missing out on Halo 5. EA had a good showing. I can’t wait for Mirror’s Edge 2! I was a bit disappointed to find out all their new games would be made in either the Ignite engine for sports, or the Frostbite engine for everything else. It’s a clever move, it means a lot less development costs and it makes games look a lot prettier. But it doesn’t encourage diversity. It makes a range of games look very similar which in turn makes them less stimulating. You need different engines to give games different feels and visual styles. It is obvious EA are cutting corners. I hope this is simply to reach the launch of the new generation, and not something that will be carried into it. I suppose that’s about it. Time will tell on whether the dislike for Xbox One will actually eat into sales. I’m looking forward to seeing what comes next.